The benefits of outsourcing are aplenty – reduced costs, streamlined operations, increased flexibility for your business, and more. With fast-paced innovations in tech, the outsourcing industry is poised to evolve, too. Nowadays, the extent of what you can outsource is constantly increasing as it’s no longer limited to IT functions or customer service. From accounting to healthcare and retail businesses, more and more companies are utilizing outsourcing services now. As the name implies, robotic process automation (RPA) is a technology that deploys bots with artificial intelligence and machine learning capabilities to perform recurring tasks through automation. This is possible thanks to technologies becoming more sophisticated, freeing human workers from menial jobs to attend to more complex tasks. RPA can speed up your response times significantly. As such, outsourcing companies and third-party service providers leverage RPA and human customer service agents to make sure that queries, complaints, and feedback from users of your product or service are immediately directed to a channel or recipient. The initial contact with customers may be automated, but it’s comforting enough from a customer’s point of view to know that their message doesn’t fall on deaf ears. The functions of RPA are more far-reaching than handling messages from customers. RPA is also ideal for high-volume tasks, such as data entry involving financial transactions. This is due to its ability to analyze the data being received from software-based processes based on a set of rules, and then create triggers for appropriate actions, responses, or communication with other systems. Of course, human intervention will not be lost, as people will still be handling cognitive-based tasks and make the appropriate judgment calls. Another factor that makes RPA a popular outsourcing solution is that it integrates seamlessly with multiple applications that you’re already using in your day-to-day operations. Thus, there’s no need to build new infrastructures as this activity could disrupt your workflow or affect the timeliness of your deliverables. Data breaches and other cybersecurity threats are major risks that you need to prepare for. When your IT networks are compromised, your business stands to lose significant amounts of money to production downtime, system restoration work, and loss of customer trust, to mention a few. A recent study by Computer Economics found that as more and more companies outsource their tech and data projects, service providers are working on the double to ensure the robustness and integrity of their IT infrastructure, including data repositories. In fact, 48% of respondents from the same study claimed that they’re increasing IT security outsourcing to boost their defenses. They’re making their IT environment less susceptible to vulnerabilities through 2-factor authentication, one-time PIN, and other security protocols. Globally, there’s a drive to protect and preserve customer data. A case in point is the General Data Protection Regulation or GDPR. The GDPR is a law that was established by the European Union (EU) to guide businesses and industries around the ethics and legalities of handling customer data. With the GDPR in effect, doubts or uncertainties about handing over proprietary and customer data to third-party companies are waning among outsourcing clients. This is due to the fact that companies found to be violating the EU GDPR may face heavy fines from industry regulators, not to mention the possibility of dealing with negative sentiments from users of social media and other online platforms. In light of historical cases of data leak and the GDPR, cybersecurity will likely move up the priority list of many businesses. As-a-service refers to making something available to customers in the form of a service. This involves cloud computing or the practice of using a network of remote servers hosted on the internet to store, manage, and process data, rather than a local server or a personal computer. As a business tool, cloud computing enhances office productivity by streamlining your processes through cloud computing service models. They are customizable according to the needs of your business, too. Software as a Service (SaaS) is the most common as-a-service cloud solution for businesses. Most SaaS applications do not require you to download or install the app on your end. However, the vendor manages your data, servers, networking, and a host of other technical issues. Google Apps is an example of SaaS. Platform as a Service (PaaS) refers to when you use a platform hosted by the provider, so your developers can build a software specific to your business requirements. The platform has built-in software components to help you in designing your software, and the provider takes care of your operating systems, software updates, and infrastructure. The Google App Engine is an example of PaaS. Infrastructure as a Service (IaaS) is when you outsource the management of your servers, hard drives, virtualization, and network without physically maintaining them. Due to the scalability of this service, you can purchase hardware resources on-demand. The Google Compute Engine is an example of IaaS. If 2015 to 2018 figures (shown above) will be used as basis, as-a-service models will continue to be in demand among businesses. While they are mostly associated with enterprise businesses that need flexibility and scalability in terms of controlling their systems and infrastructures, they can also benefit startups that don’t have the resources to invest in their own software or hardware. On its own, the IT discipline is complex. IT staff have to specialize in several skill areas, such as system troubleshooting, software development, and loads more. And yet, the IT industry faces newer and bigger challenges nowadays with the speed that emerging technologies are being introduced. Thus, businesses in the IT services will need people who can manage IT-related projects or offer tech support to customers by having the right mix of hard skills and soft skills. Let’s take the case of the blockchain technology. Banks, tech startups, and financial consulting firms are slowly but surely putting their investments in blockhain development initiatives. Their goal is to incorporate Bitcoin cryptocurrency capabilities into their business model. To make this happen, they’ll need the help of outsourcing companies whose pool of talent has undergone intensive training to achieve expert-level proficiency in software development, engineering, security, and other blockchain-related skills. At the same time, blockchain developers will have to work on their soft skills, such as communication and collaboration, to enable them to educate their clients about how the technology works and how they can apply it to their business organization. Moreover, the most sought-after talent in IT outsourcing will have high adaptability characteristics as they’re able to transfer their skills into new environments confidently and competently. They also cull their previous knowledge and experiences when making judgment calls regarding how much new technology or time-tested techniques to use when working on IT projects. Outsourcing is an important industry that continues to grow, as a response to ever-evolving technologies and demands in the business world. 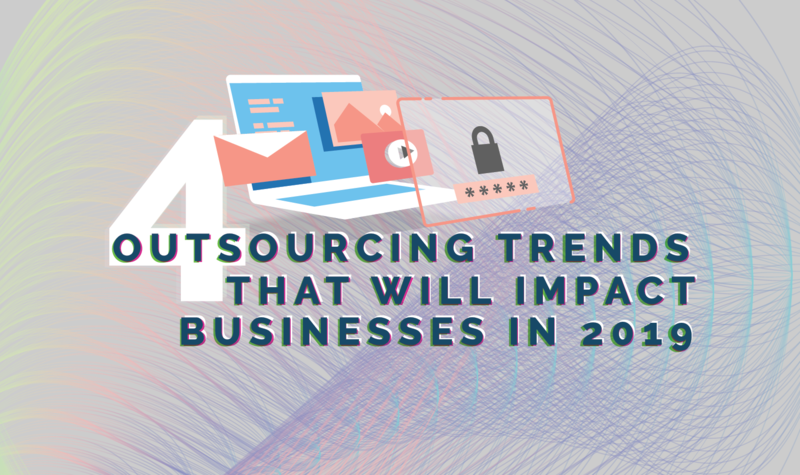 Further, outsourcing companies are always on the lookout for trends in the industry, so they can invest in the necessary resources, tweak their formula, and ultimately deliver up-to-date and high-quality services. Contact us to find out which of these outsourcing solutions could give the best value for your business.